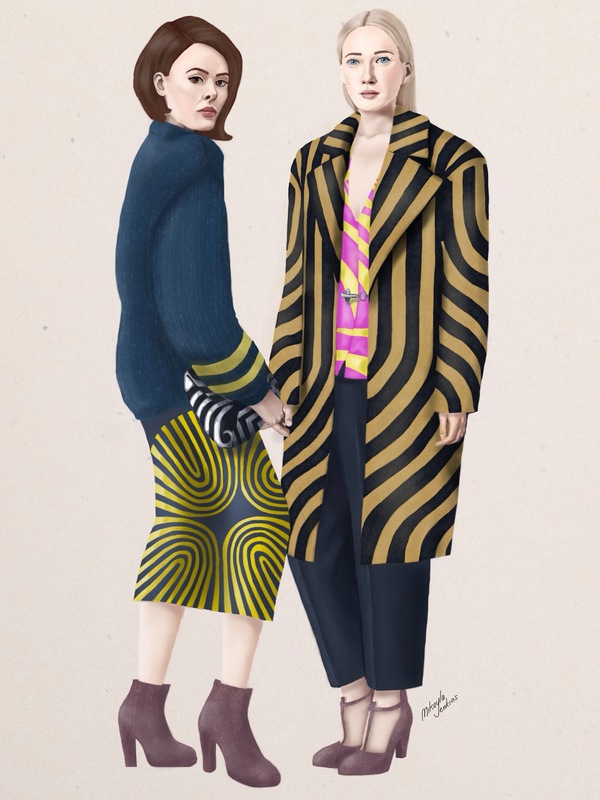 This fall I’m obsessed with statement coats and slouchy sweaters with pencil skirts, so I just had to draw this piece featuring looks from the Dries Van Noten fall collection. I’m so in love with the patterns, colors, and silhouettes employed in these looks. The op art inspired patterns somehow manage to be both playful and sophisticated.